It’s the most wonderful time of the year again and you’re hosting a magical christmas get-together for the friends and family! You dust off the old box of christmas decor and peek inside and realise it just isn’t going to do this year. Luckily for you, we’ve put together some STUNNING christmas table decor ideas that will have the family gasping in amazement and will make your festivies just a touch more special! Tired of the age-old red, green and gold? 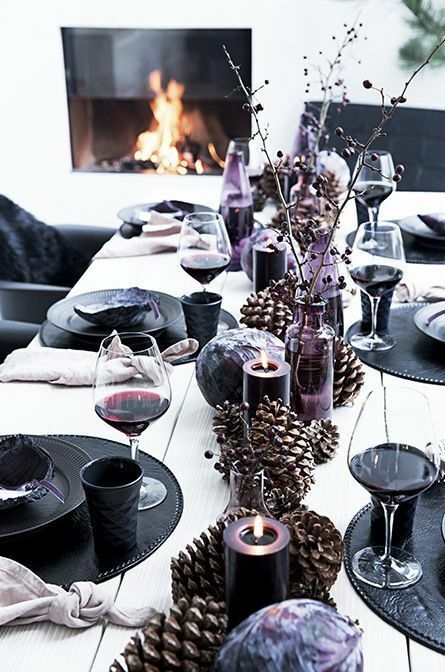 Try something totally daring this christmas and opt for an untraditional colour scheme for your table – try pairing black with hues of purple for a powerful and bold statement. Go with an untraditional colour scheme that they’ll remember for years to come! For something softer but still stunning and untraditional, opt for a totally on-trend colour scheme of various shades of grey and millennial pink. Millennial pink is said to be 2018’s colour of the year! Cutlery takes up a surprisingly large amount of table space and is a great and easy way to transform your old boring table decor into something totally different and contemporary! Pair some funky metallic gold cutlery with some greenery from the garden and you’re set to have a table that will wow the crowd! 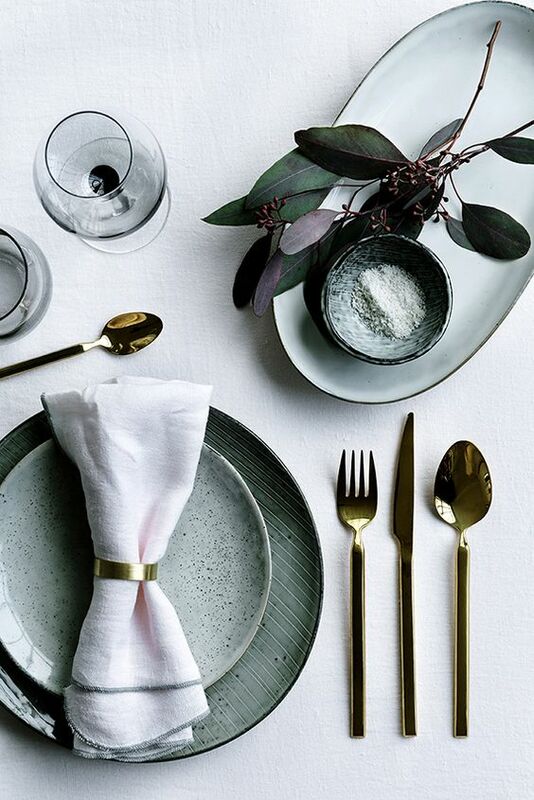 Shimmery gold cutlery looks amazing paired with some fresh greenery straight from the garden. 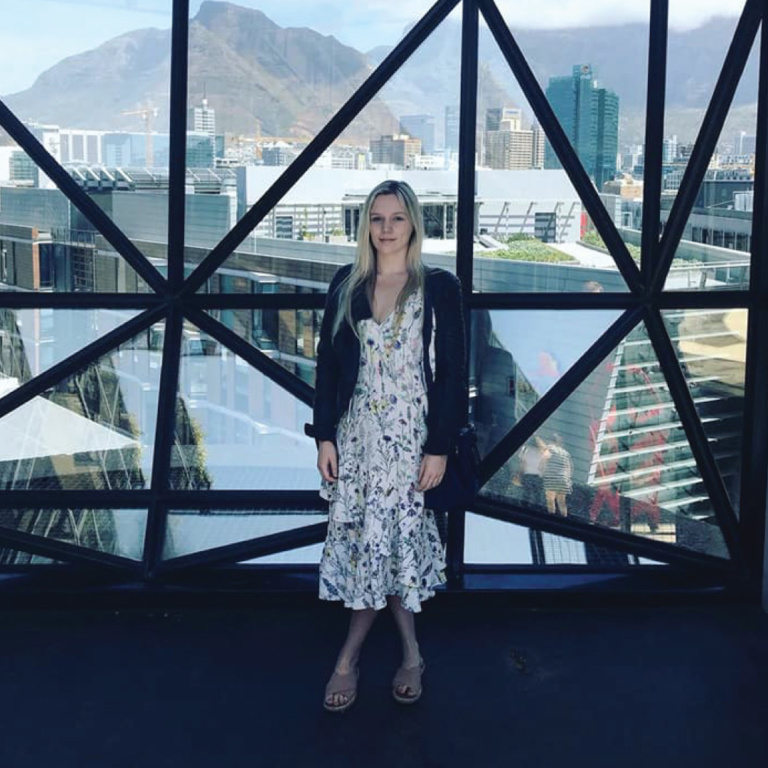 You cannot go wrong with blue paired with rose gold – it’s a light and refreshing colour combination that is perfect for our summery South African christmases! 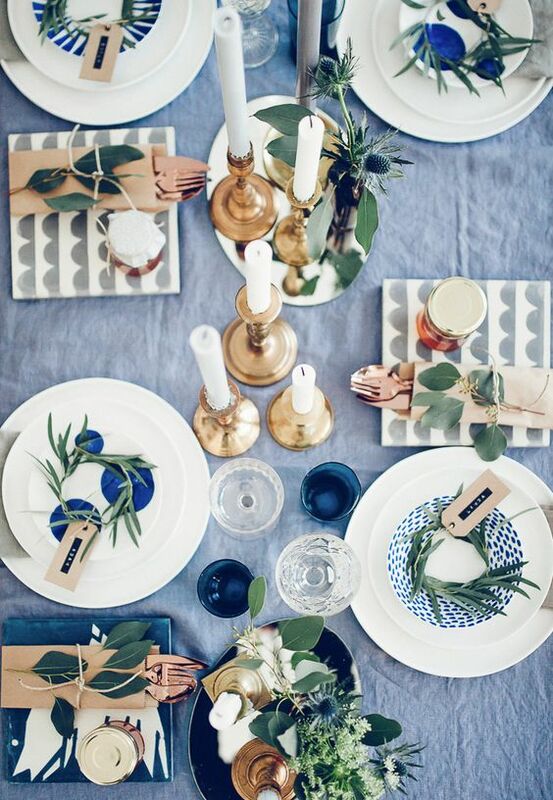 Metallic gold accents and hues of blue instantly make for a jaw-dropping colour scheme! Minimalism is definitely not something that springs to my mind when I think of christmas – in my family, christmas means chaos and destruction throughout the house with our Mom spending the entire month of December designing the christmas table layout, only for it to look like a total wreck 10 minutes after everyones sat down. 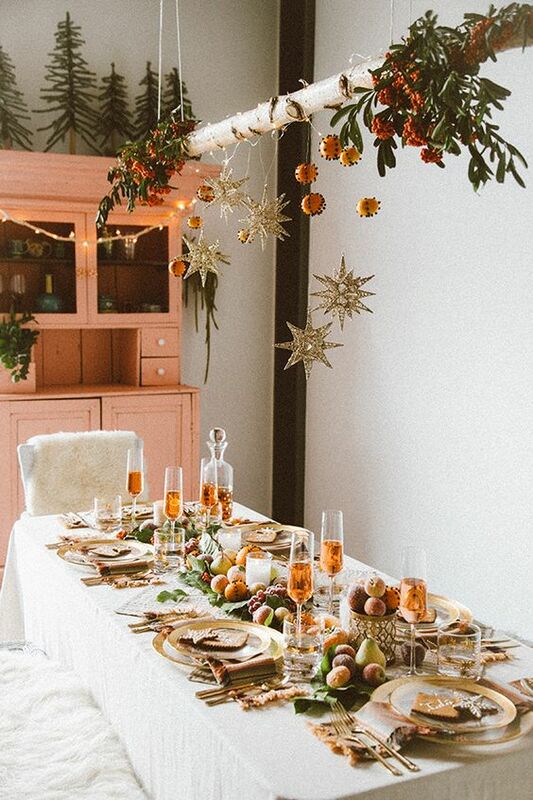 A minimalist approach to your christmas table decor is a great idea and will minimize the amount of cleaning up and clutter that you’ll have to deal with at the end of the day. 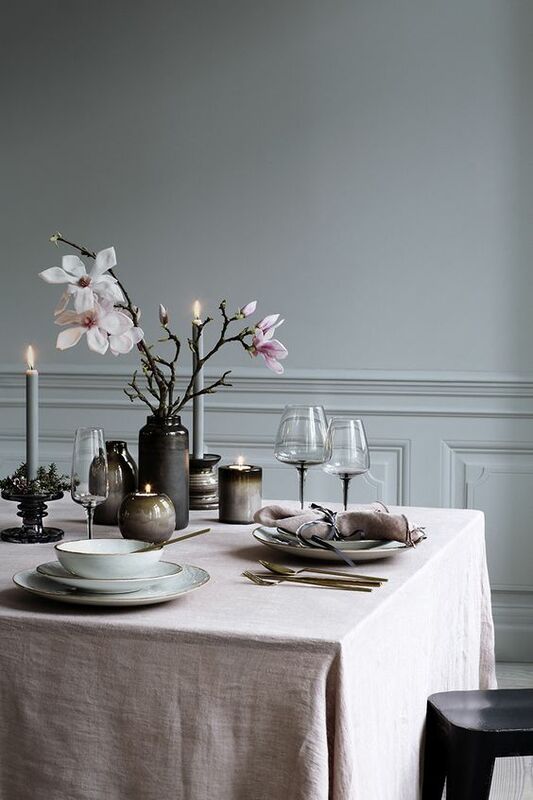 Less is more; go with a minimalist approach to your christmas table this year. 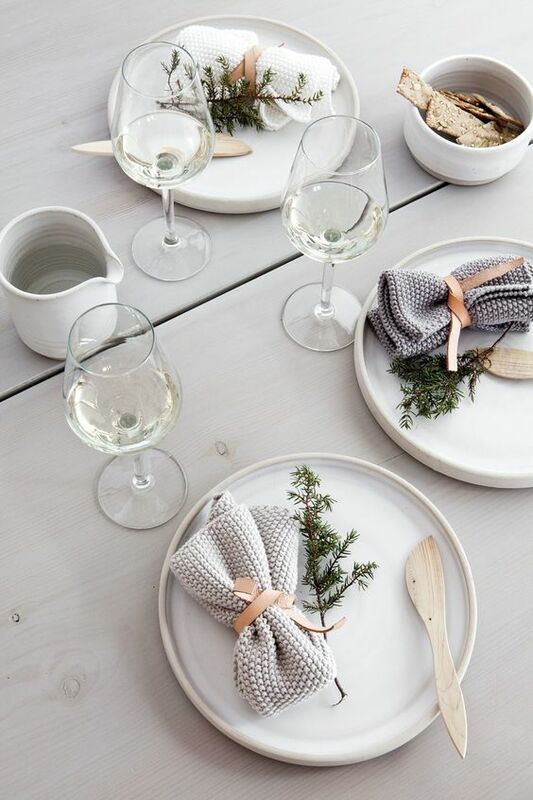 Skip the table cloth and centerpieces and go with the bare minimum for a beautiful, understated look (and less cleaning up to do!). 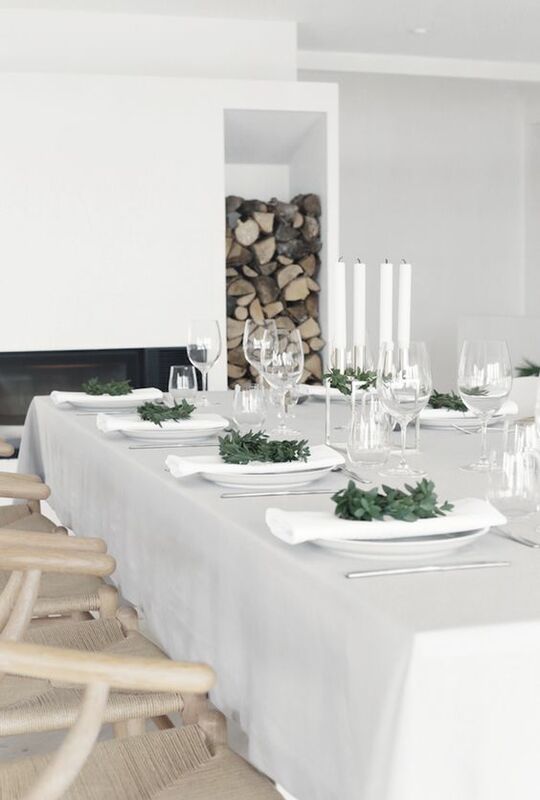 Skip the clutter this year and go as minimal as possible with your christmas table. Create more table space and move your table decor above! A branch or a wooden pole is lightweight and easy to hang and creates an enchanting environment for your christmas festivites. Grab a branch from the garden and drape it with fairy lights to easily create something magical! 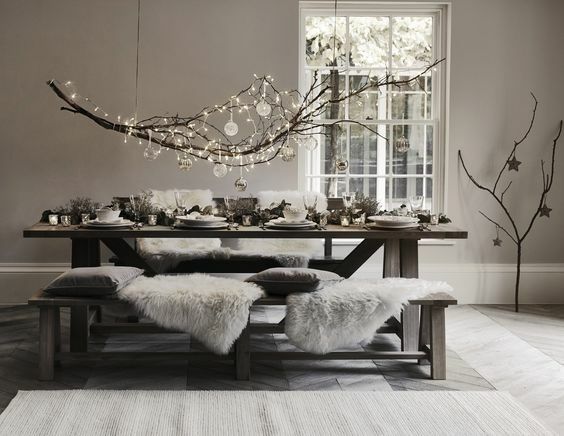 Baubles and greenery make a stunning statement hanging over your christmas table. Christmas is all about the kids! The ideal kid’s table is one that will keep them happy and entertained for as long as possible. 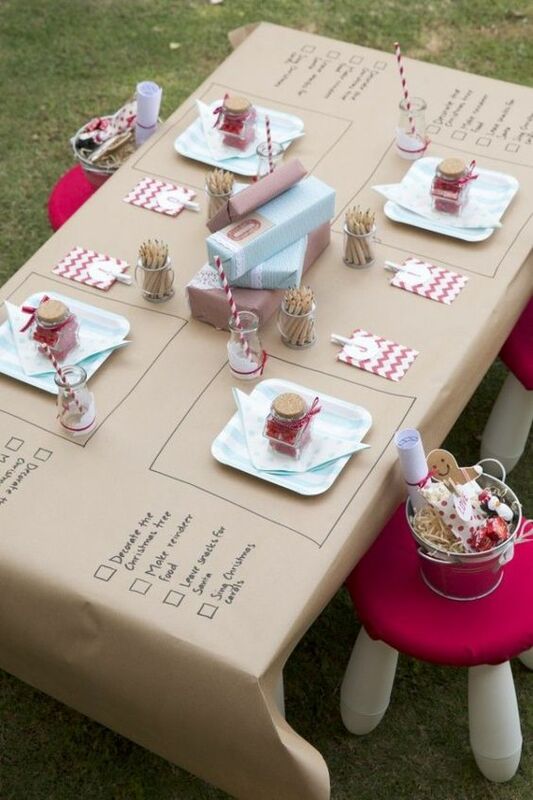 Covering their table with brown paper that they can draw on is a great way to keep them happy and busy for long – plus it also looks really cute! Keep the kids entertained for hours with a table filled with activites. What will you be doing this year with your christmas table? Be sure to send us pictures – we’d LOVE to see!